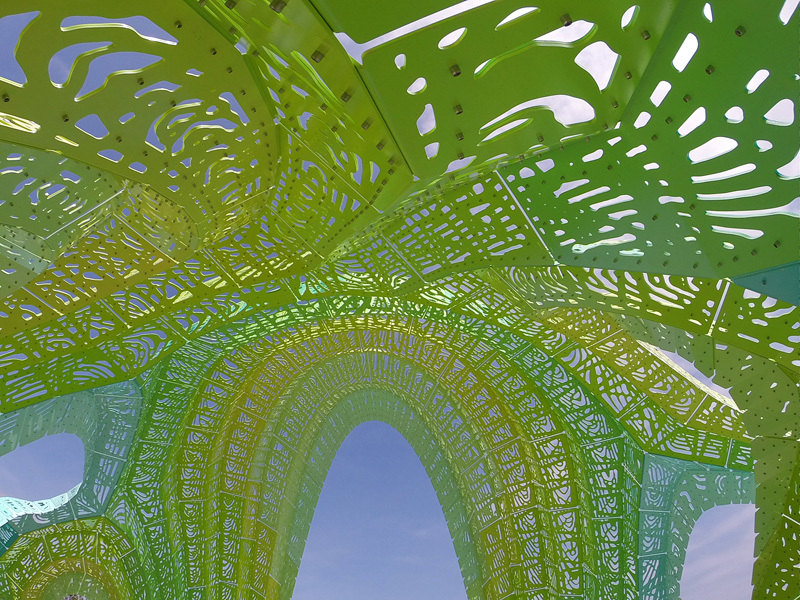 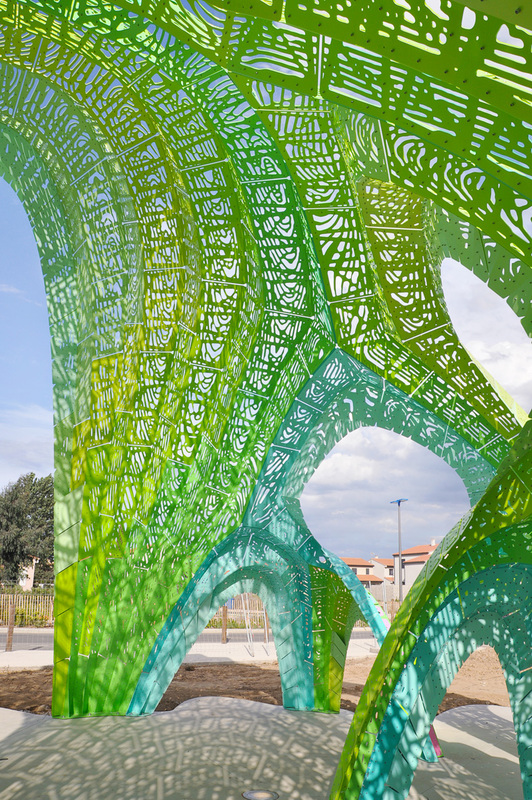 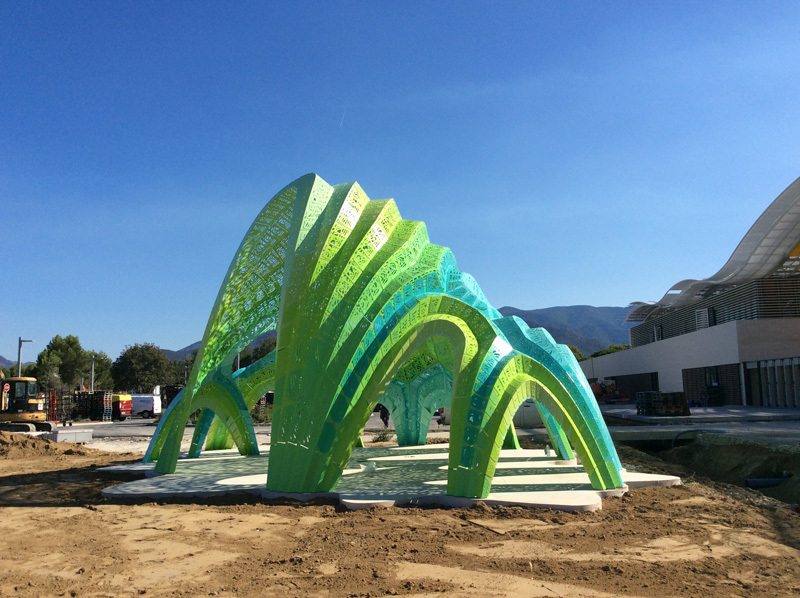 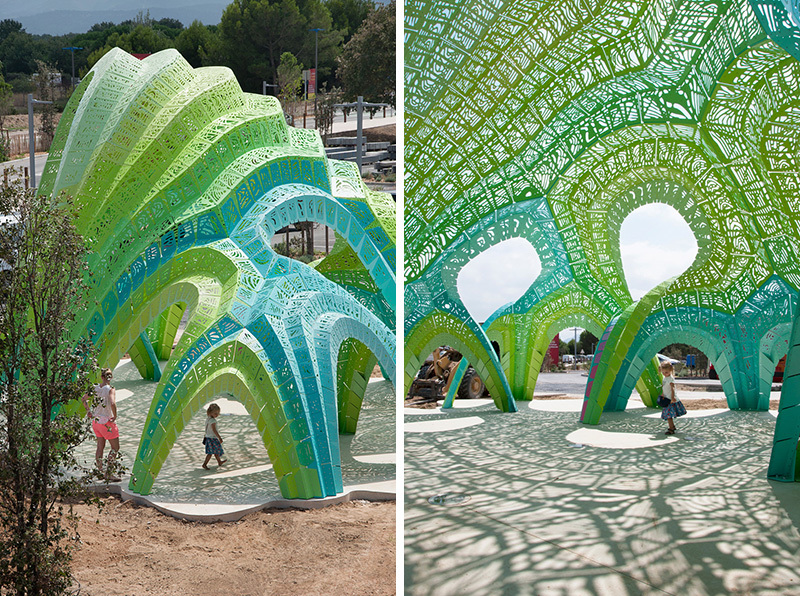 MARC FORNES / THEVERYMANY have completed “Pleated Inflation,” a permanent informal amphitheater in Argelès-sur-Mer, France. 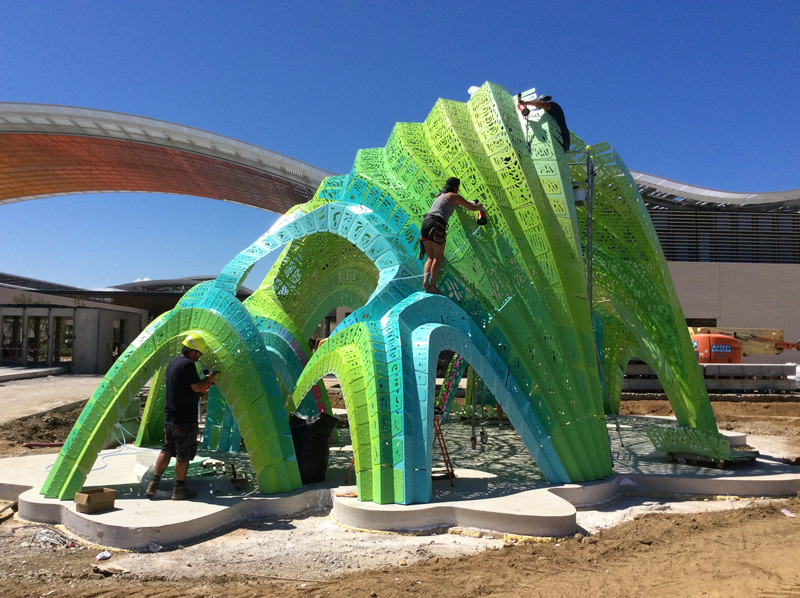 Pleated Inflation is a colorful, digitally fabricated, permanent amphitheater, made up of 990 aluminum shingles. 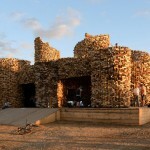 Each of the 990 shingles overlap their neighbor to form a continual shape, and add to the rigidity of the structure. 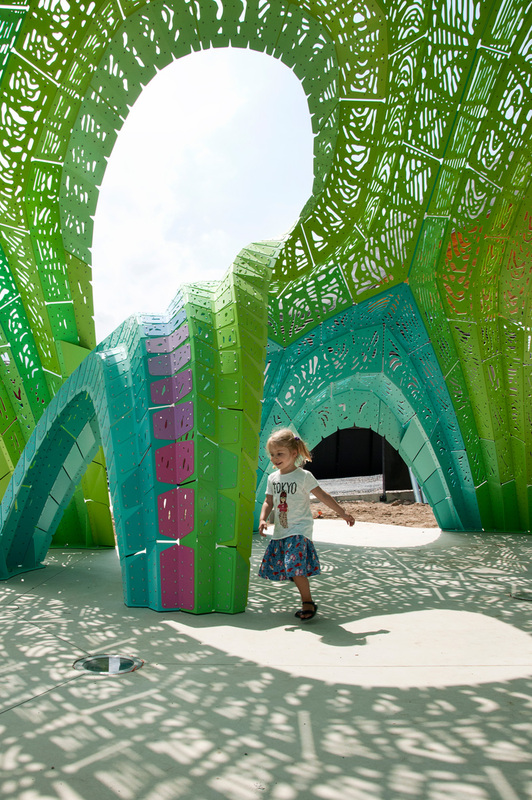 The shingles have small patterned cut-outs that allow fun and playful shadows to be cast on the ground. 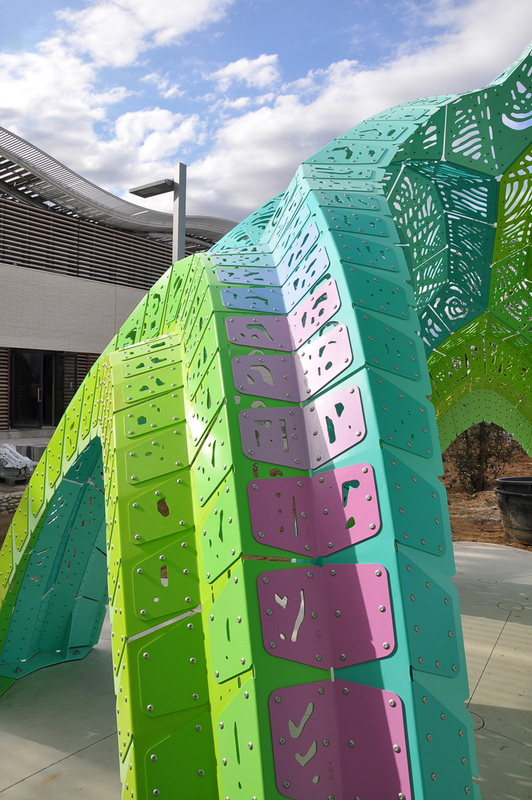 Here you can see how the structure has been bolted together. 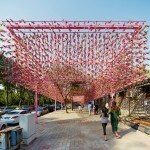 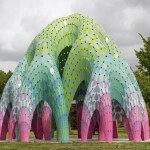 Pleated Inflation adds to the “structural shingle” project family of MARC FORNES / THEVERYMANY, a body of research into lightweight, self-supporting systems. 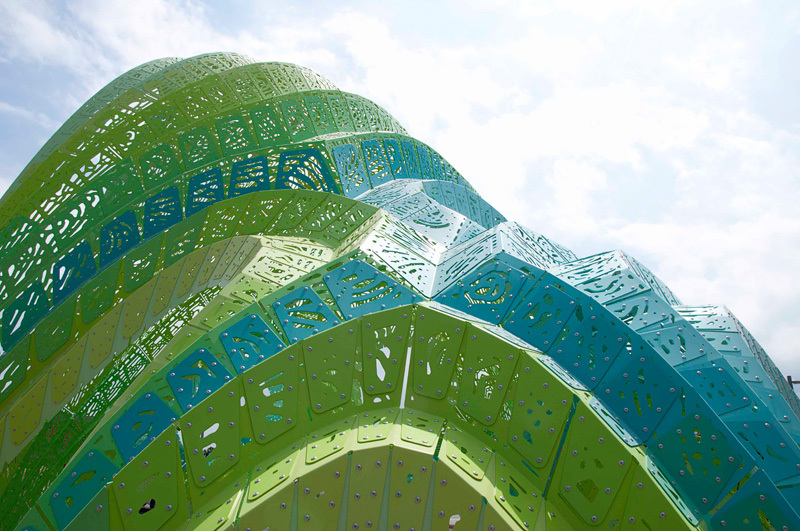 The skin of the amphitheater meets the ground with 26 base plates. 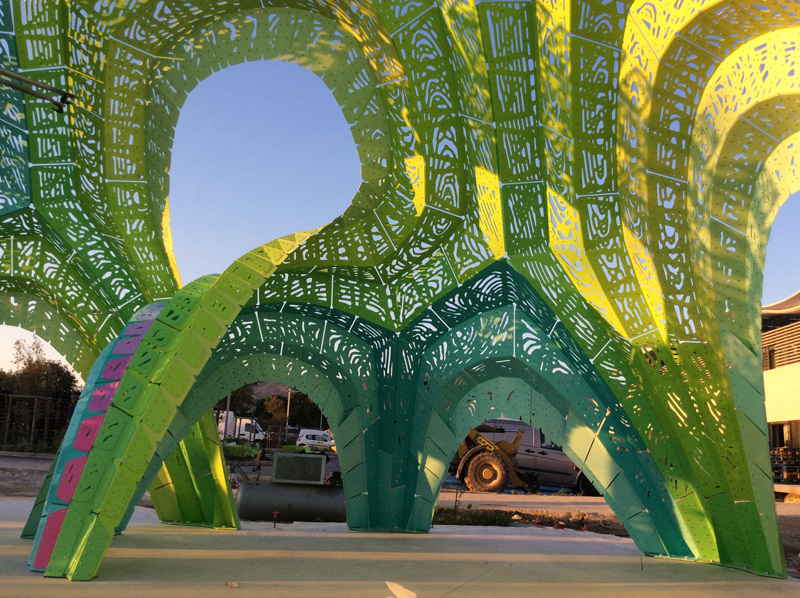 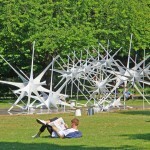 After the digital fabrication of the pieces was complete, it took four days and a team of four people to install.